Atlantic Health System’s Overlook Medical Center has been named among the “World’s Best Hospitals” by Newsweek in its inaugural ratings. 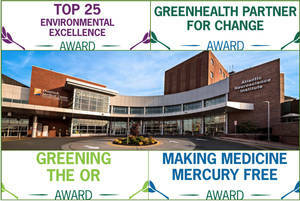 Overlook Medical Center ranked in the Top 100 of the U.S. hospitals on the list at number 98. The 2019 “World’s Best Hospitals” rankings is based on responses to an online survey sent to nearly 40,000 doctors, hospital administrators and health care professionals in 11 countries, results from patient surveys, and publicly available hospital performance data.